In 3-quart or larger saucepan, melt 5 tablespoons butter over medium-low heat. Add marshmallows. 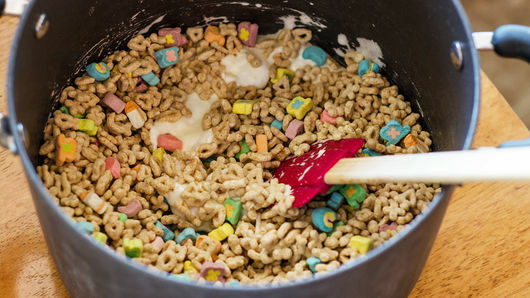 Cook, stirring constantly, until marshmallows are almost melted. 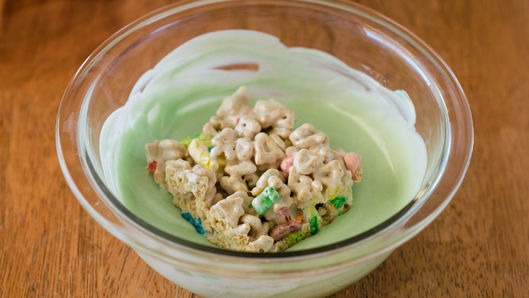 Remove from heat; immediately stir in 6 cups Lucky Charms™ cereal. Pour mixture into pan. With rubber spatula, press mixture down to fit evenly in pan. Cool about 30 minutes. Microwave 8 oz almond-flavored candy coating (almond bark) as directed on bag. Stir in 2 to 3 drops green food color. Cut cooled cereal mixture into 4 rows by 4 rows to make 16 bars. Dip bottom of each bar into melted candy coating, spread evenly. Place coating side up on sheet of waxed paper; let stand until coating is set before serving. 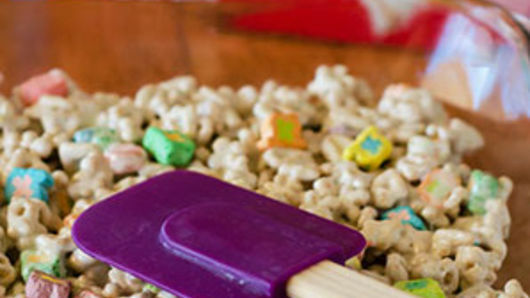 Stir in 1 cup white vanilla baking chips with the cereal for a loaded bar! 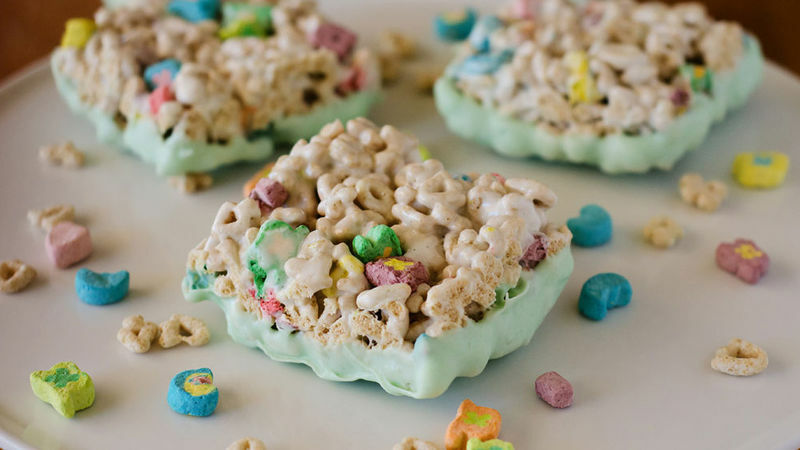 Try this quick no-bake recipe with your favorite cereal.